NH Hotel Group having won the Zoover Award recently has recently launched a strategic plan to lift the hospitality to an even higher level in the next 5 years. This message is reflected in the global "NH that's me" campaign, which could be seen in the Netherlands on TV, in magazines and on billboards. It is also widely advertised in many travel magazines and distributed for free on popular European airlines, e.g., EasyJet. 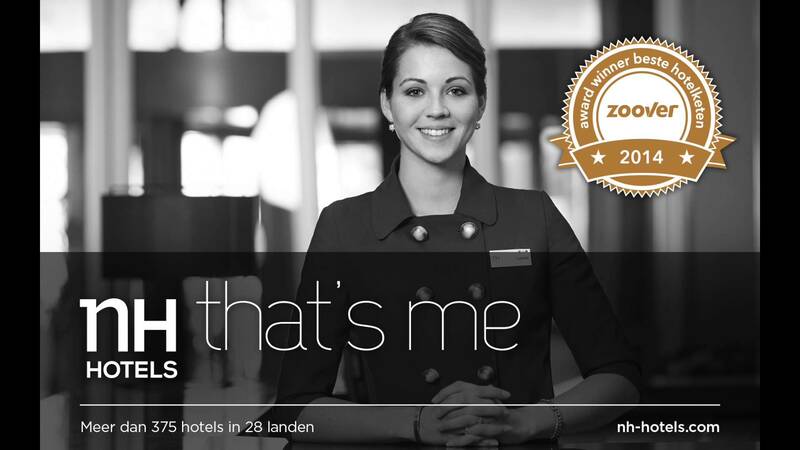 Under the slogan "NH, that’s me" the group launched a global advertising campaign in April across all its business units, with a strategic focus on the Spanish, Dutch, Italian and German markets, in a bid to boost brand recognition worldwide, position NH as the hotel of choice among its target audience and communicate the company's new value proposition. Marie Claire, known for it’s courageous points of view, celebrates it’s 20th anniversary of the publication in Brazil in 2011. Instead of making a campaign about itself, we created a homage to the feminine readers that don’t follow 10 steps to become happy, but are happy just the way they are. The campaign aired on TV as a manifesto and the print depicted some polemic point of views. Both were signed with #eusouassim (that is me) for incentive to woman to publish their innermost truths on Twitter and Facebook.